Training with Jennifer Abrams has made me a better athlete, a better competitor, and most importantly, a better person. I came to Jen, as a person with some experience with competing in bodybuilding, simply looking for help with my posing and routine. What I found was a highly intelligent, exceptionally motivating, and deeply caring individual who turns her client's goals into her own personal goals. I had no idea what to expect working with someone who is as accomplished in and who has achieved the high level of success in bodybuilding that Jen has. I was pleasantly surprised by the gracious, fun loving, compassionate individual who immediately set me at ease. I came to Jennifer with a fair amount of drive to improve myself. Jennifer took that drive and turned it into a burning hot passion to become the best competitor I can possibly become. I admire Jennifer Abrams for her passion for the sport, for her ability to find the hidden potential within a person and bringing it to light, and for being self-confident enough to unselfishly share her knowledge and experience to turn each client into the best person possible. I am constantly impressed with her high level of intelligence. She never dodges a question. She answers every question quickly, efficiently and correctly. She has turned my entire weight training and dieting program around; and also took the lead in my competition preparations this season to ensure that I achieve the results I desire. Rather than focusing on the genetic defects of my physique, she taught me how to accentuate the strong points to my physique to make me look my absolute best on stage. Jen had me so well coached and so well prepared that by the time my competitions finally arrived, I was ready to go. I didn't have to struggle with nervousness and self-doubt, I was so well practiced that my body naturally knew what to do. All I had to do was bring my body in to the show in the best condition possible. Thanks to Jennifer's expertise, I came into both of my competitions this year with my most superior conditioning to date. I am very proud to have represented Jennifer Abrams in two shows this spring, one in Davenport, Iowa where I won the light weight division and went on to win the overall in women's open bodybuilding, and in Austin, Texas where I won the light weight division. We competed as a team at the show in Iowa, and Jen saw to it that our every need was met all day long. Although Jennifer wasn't able to come with me to Texas, she was available to me at all times via text, email or phone calls. In fact, she would check in on me two and sometimes three times a day to see how I was feeling and how I was doing. She went above and beyond anything I could have ever asked of her during my entire competition season. I can't imagine competing again without having Coach Jen on my side. I would recommend Jennifer Abrams to any person who is looking to improve themselves inside and out. She has taught me to compete with grace and class, and to handle myself with dignity and pride. She taught me to believe that I belong on that stage with any other competitor and to always believe I am capable of winning every show that I enter. Jennifer turned a timid, mediocre competitor into a strong, confident, fierce competitor. I am eternally grateful that Jennifer Abrams was introduced into my life this year. I am also thankful that I was wise enough to recognize her for the gift she truly is and to respect her and treat her as such. I think so highly of Jennifer that she will be taking the lead in my off season training efforts and will be preparing me for any upcoming competition endeavors. 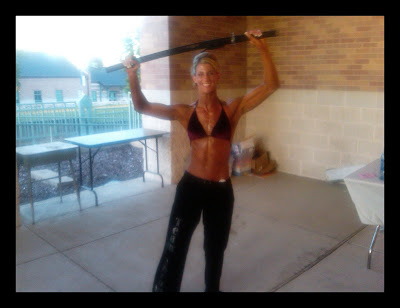 My Client Diane Wins Lt. Wt Class @ "Teaxs Shredder Classic" in Austin Texas!! That's two Lt. Wt. wins 2 weeks apart!! So very proud of you Diane!! 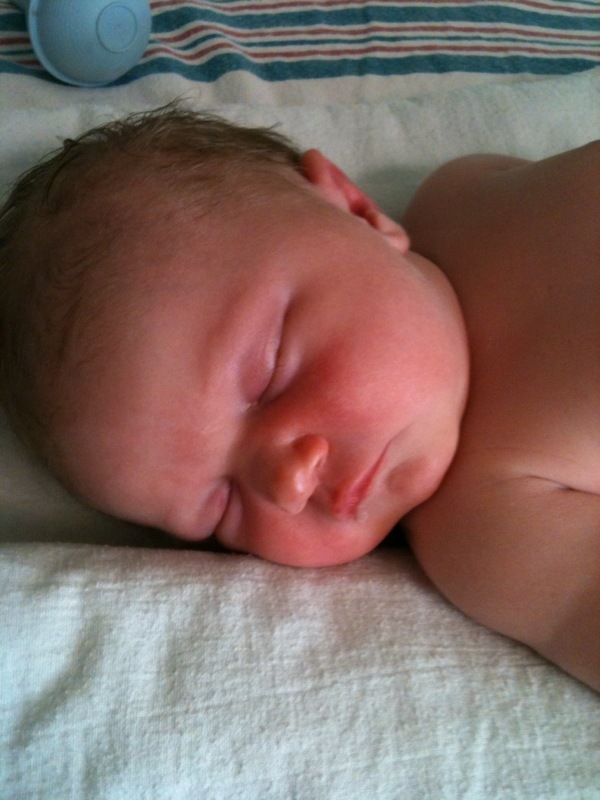 Olivia Lee Otto has arrived!!! April 22nd. and weighed 8lbs. 7 oz. She is just beautiful!! My sister is doing well after delivery and big sister Annabelle just loves "her baby:)"! More Photos from Saturday, April 10th!! NPC Big Bea Event April 10th, 2010! "Team Abrams" wins the team trophy in Davenport, Iowa!! Diane wins lt. wt. bbing class and Women's open overall! Phil wins Masters 40-44 class and remains the title holder for the 2nd year! Jenny takes 2nd place in figure tall class- her very 1st competition! Wyatt takes 3rd place in Masters 35-39 class - 1st competition! Rebin looses a TOTAL of 100 pounds and competes in the figure short class! Megan achieves her goal of adding more muscle to her frame over the past year and competing as a middle wt.! Congrats to all 6 of you! It has been an unbelievable pleasure working with each of you and I look forward to all of your future plans and my involvement in them!! **Terry took over 1500 photos at the show!!! There aren't enough thank you's for his work!! Photos will be posted as soon as I receive the cd's! These 6 athletes will be competing this Saturday in Davenport, Iowa! A Blessed Easter Sunday To All!! My family also celebrates today...the 70th Wedding Anniversary of my grandparents! 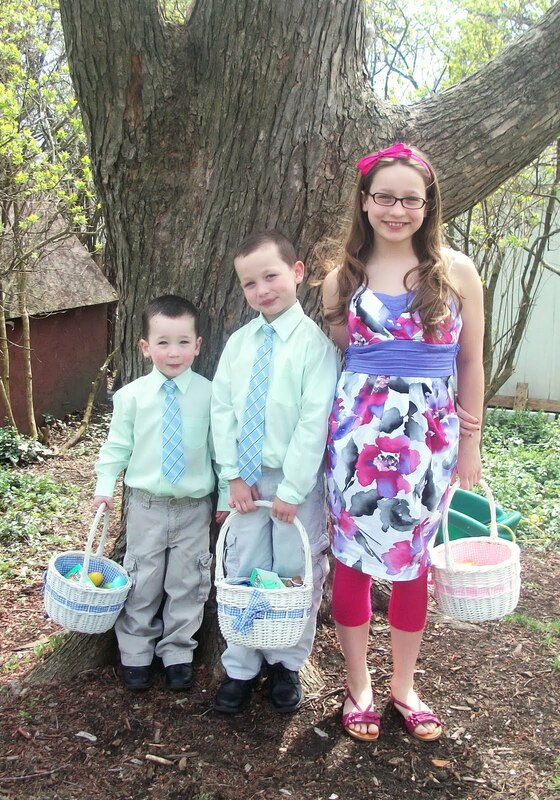 Today they will be renewing their vows at Easter Mass! Grandma is 89 and Grandpa is 90! I will tell you that I have never met a more precious couple in my life...they have raised 5 children together ( my mom being their 3rd gift :)) and have brought love and laughter to more lives than you can ever imagine. They now have more grandchildren and greatgranchildren than I can count! Congradulations to two people who exemplify what it means to love...for better or worse! We will enjoy sharing this beautiful day with you!!! Pictures of Megan from yesterday's competition! Yes, I KNOW I look like an Irish ghost monster next to little 116 lb. Megan:))..LOL! 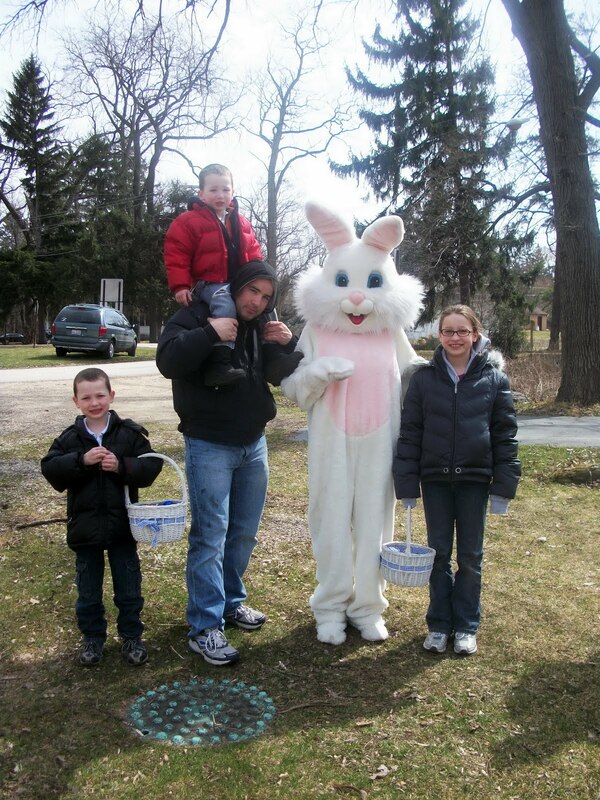 A fun Easter egg hunt for the kids last weekend and then an early morning egg gathering event at Dominick's yesterday morning befor leaving for Ottawa, IL for Megan's competition! Always finding a way to fit as much fun in as possible! I hope to see many of you tomorrow for Jeff and Ann Johnson's show! Fabulous show and wonderful promotors! One of my personal favorite's:) as it is the very first bodybuilding competition I ever entered. I am also in the Hall of fame as the 2005 overall winner. Then in 2008 I prepared my client/ friend Karen Hansen for their show and she won the overall. You can check out the hall of fame pics and hundreds of other outstanding competitors on their website! 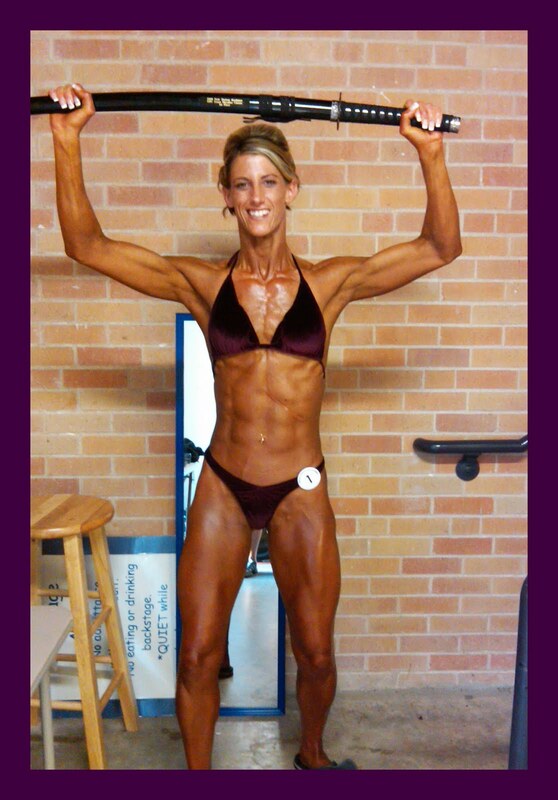 My client Megan will be competing in the light wt. class! I will be there to cheer her on of course and help promote the natural NPC show I will be guest posing at May 29th in Iowa! Just got the posters in the mail today from promotor Keith Watts...LOVE um! Great job Keith! Yes, as all of my clients know we have been up and running since August but now our entry and bathroom will be complete to make things look as they should! A new page will soon be added to my site so you can all see the gym here in Fox River Grove! The equipment list includes; Standard squat rack, bench press, leg ext., hamstring curl machine, Olympic bars, seated row, lat. pull down machine, preacher bench, plates of all wt. and dumbells from 5 lbs.- 70 lbs.